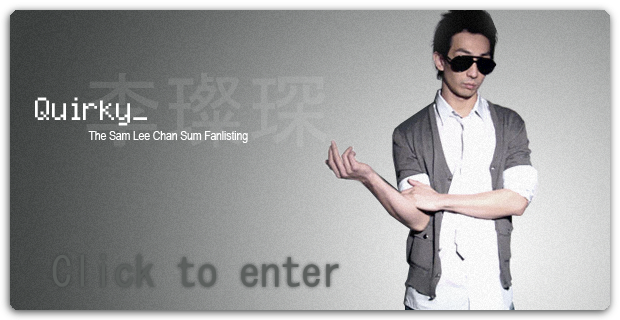 Welcome to the TFL.org approved fanlisting for Sam Lee Chan Sum! Sam has been in over 70 films during his time as an actor (only a decade!). His quirky style and great presence is portrayed in every one. Some of his more notable performances include; Gen-X Cops, Bio-Cops, 2002, Young and Dangerous: The Prequel, Ping Pong and Metade Fumaca. I hope you will consider joining this fanlisting to show your love for this greatly underappreciated yet fantastic actor! Sam is also well known in the HK music scene, having been a seasonal member of the now defunct music band LMF (Lazy Mutha Fucka). He is also known as DJ Becareful.